Creating idea wheel chart with free templates and examples. Idea wheel chart has never been easier. Idea wheel chart, as its name implies, is a kind of chart to record your own ideas by labeling each section and then writing or drawing ideas in each section in the idea wheel charts. It is usually used to conduct simple calculations and look up information. 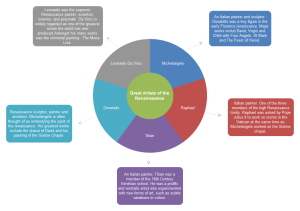 Idea wheel chart is devoted to carrying out a particular specialized calculation, or displaying ideas and thoughts on some objects or a particular process. 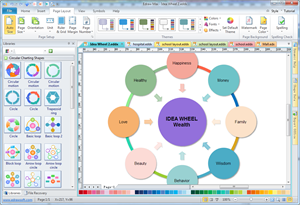 Using Edraw, you can easily create a professional-looking idea wheel. There is a large collection of pre-drawn shapes and symbols, allowing you to add to your page freely, which greatly save your time and energy. You can design and customize your drawing with its rich color schemes and fill options. The tools are easy to use and the interface is straightforward, allowing both experienced and occasional users to design smoothly and effectively. The diagram can be exported to PDF and other graphic formats. 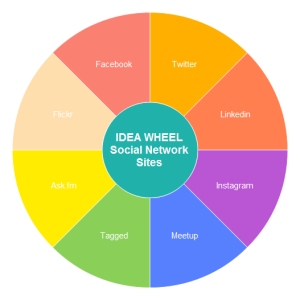 Browse and apply the professionally created idea wheel template made by Edraw. 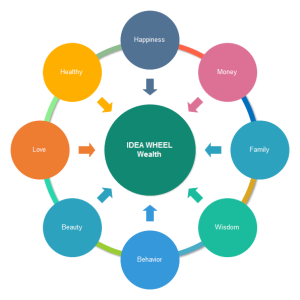 The wealth idea wheel template is available in use anytime. Start from this template and create an idea wheel rapidly. A good looking idea wheel example is presented here, not only showing the visual effect, but also allowing users to download and cutomize for their own use.